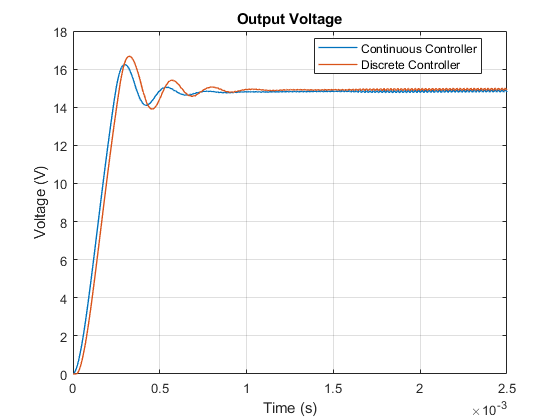 This example shows how to model and assess the impact of component tolerances and fault events on the operation of a switching power supply. The R, L, and C components all have tolerances, operational limits, and faults defined. 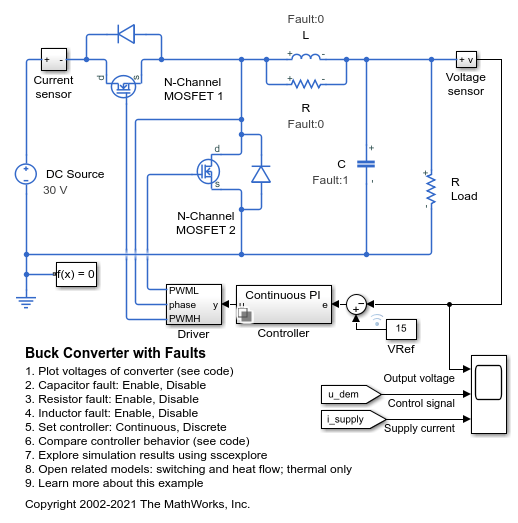 The faults can be enabled within the block dialog or using MATLAB® Commands. The capacitor fault is already enabled to cut in at 1.5e-3 seconds. 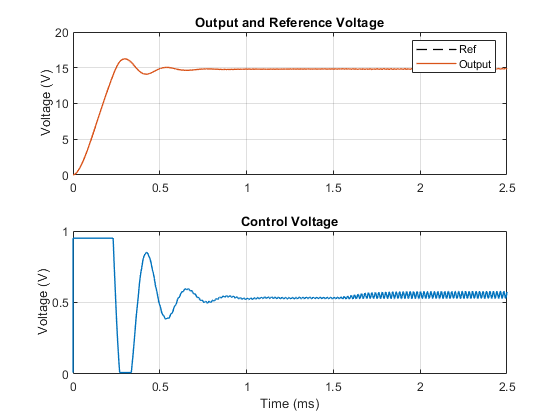 The plot below shows the output voltage as compared to the reference voltage. 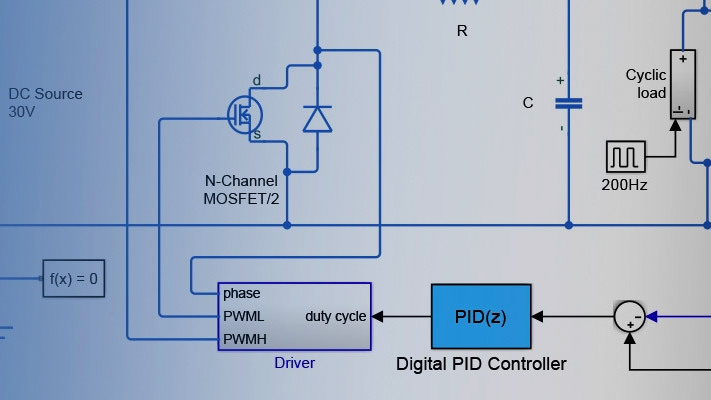 It also shows the control signal that adjusts the duty cycle of the PWM signals applied to the MOSFET gates. As the faults occur, the effect can be seen on the control signal and the voltage supplied by the converter.